Juan Tamariz is undeniably one of THE greatest magicians of all time. His effortless charm and humour combined with his masterful use sleight of hand and misdirection make Juan Tamariz magic a joy to watch. In fact, most magicians will tell you that they could watch Juan Tamariz perform all day. There’s only one problem—there’s not many great clips of Juan out there. You can spend hours browsing YouTube looking for Juan’s material (trust us, we have), but it’s hard to find the real ‘gems’ without going crazy. 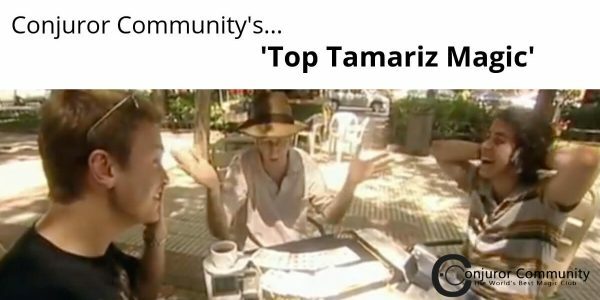 Well, in today’s blog post, we’re putting together a list of our five favorite Tamariz videos for your enjoyment. Don’t worry about running all over YouTube to find them, simply watch them all in one place in this resource. There’s a few reasons we think you’ll love this piece of Juan Tamariz magic. Firstly, it’s fun to watch two fellow magicians get fooled so hard. But more importantly, this clip shows how much magic technique Juan can actually use in a seemingly effortless and casual performance. This clip ALSO shows how Juan uses highly advanced misdirection techniques without anyone EVER catching on—or even considering anything ‘funny’ might have been going on in the first place. 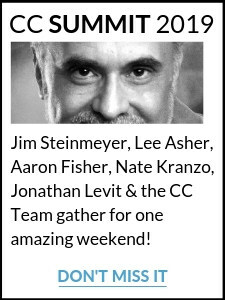 If you think that this level of mastery is ‘unreachable’…think again! In Juan Tamariz’ latest book, The Magic Rainbow, you’ll discover the secrets behind these techniques (and much more)—and realize that it’s actually MUCH easier than you thought. The Magic Rainbow is absolutely essential reading for any and all magicians. Juan Tamariz is renowned for using simple methods, expert misdirection and performance to create incredible routines. The fact that he so often uses rudimentary techniques gives some magicians the wrong impression…that Juan isn’t a ‘sleight of hand guy’. Well…they couldn’t be more wrong. Those are some seriously impressive card sleights! But Juan makes it look like he’s just playing around. That’s how skillful he is. So why does Juan use simple—sometimes even obvious—methods when he can bust out this level of super skill at a moment’s notice? Juan doesn’t need to! His ability to control his audience’s attention is legendary—he’s so good at it, he doesn’t NEED to rely on difficult sleight- of-hand. He can perform the easiest of card tricks but still astound his audience, thanks to his mastery of misdirection. If you aren’t a sleight-of-hand expert—don’t stress it! You can turn the simplest tricks you know into showstopping miracles when you apply Juan’s most treasured techniques to your magic. 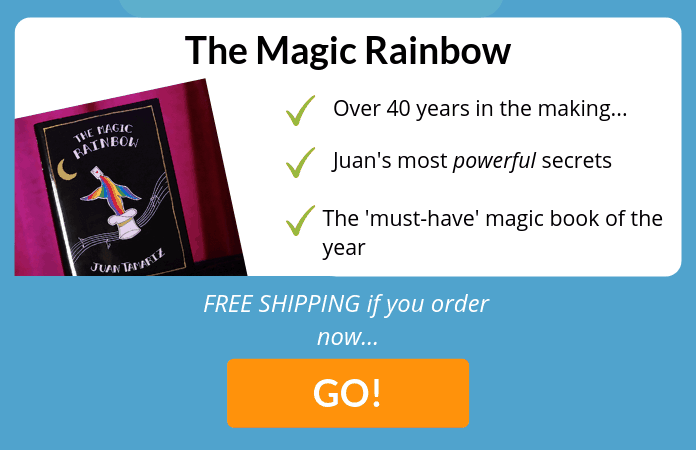 Luckily for all of us that aren’t complete card ninjas yet, Juan has packed all of his discoveries over the years into one volume…The Magic Rainbow. And now, for the first time, you can make The Magic Rainbow (and Juan Tamariz’ Magic) yours! ‘Oil and Water’ routines are nothing new—we’ve all seen them before. The magician mixes red cards with black cards, says the magic words, and suddenly the cards are separated back into red and black groups. Well, we thought we’d seen it all before too. Then we watched Juan Tamariz’ version of the classic ‘Oil and Water’ effect. How does Juan have enough confidence to even try a move like this? Here’s how—Juan knows that his use of misdirection and other magic subtleties works so well, he can afford to go a little bit ‘crazy’ every now and then with a move like this. Remember, these are the SAME subtleties and techniques he reveals in his latest book, The Magic Rainbow. Okay, so we’re cheating a bit here. This video isn’t exclusively Tamariz. But we found it such a touching tribute to the impact his magic and teachings have had on some of the greatest magicians alive that we couldn’t NOT share it. 5. Juan gives us a ‘shoutout’! We really didn’t see this one coming—but we are so happy it did! Very recently, a member of the Conjuror Community Club was fortunate enough to attend a magic festival where none other than el Maestro himself, Juan Tamariz, was also in attendance. CLICK TO WATCH: Juan Tamariz Gives Us A Shoutout!